"its just a rip off"
Not Verified | Paying a huge airport fee (15€ per person!) is simply not fair. They tell you it's for the airport, but your airline already had to pay for using the airport! So its just a rip off. 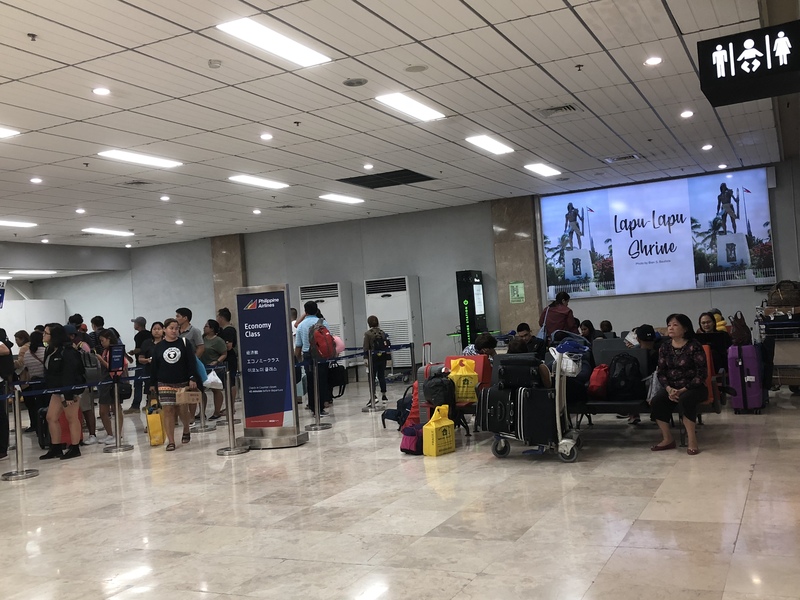 ✅ Trip Verified | My first and last visit of Cebu airport. I had the pleasure to get called into the luggage security check zone as I forgot in my scuba diving "checked in" luggage one normal gas lighter. This triggered a security process which lasted 1.5 hours where I had to unpack the luggage to find the "lighter" after handing over my passport to somebody who was not willing to hand over any receipt. Never ever had the pleasure of such an unprofessional process without any broader sense. ✅ Trip Verified | Relatively quick luggage x-ray checks. Extremely crowded departures area, hardly any seats free for the restaurants' clients, extremely loud anouncements, reaching the pain threshold. A very unpleasant airport. Not Verified | It was around 4 in the morning at terminal 2, we checked in and went through security and immigration in just a short period of time. The airport was clean. There was a lot of shops. The signage was good, it was easy to find my gate. The sun was coming up and I lined up for boarding, the gate agent was just using her voice to call out the boarding announcement, I then saw the microphone to use the terminal speaker, she was not doing her job properly, others could hear her so they had a chance of missing their flight. "is like they designed human pinball"
Not Verified | Pros: beautiful new structure and mostly friendly staff. Cons: The layout is like they designed human pinball, you will be bouncing around in no logical order. 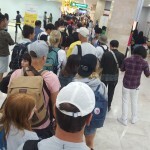 ~$20 fee per person in addition to fees you already paid for luggage and ticket? The WiFi is trash, says you cannot use to stream, share peer to peer, or game. So I'm stuck writing this review instead of calming down with a game or comedy. Plus if you're lucky you might get a travel tax. Side note, after they took our bags, they requested documents they didn't before. So after waiting half an hour trying to get the bags back, one of the reps mentioned we could pay an additional fee to bypass the required documents that weren't required before. Out of frustration we agreed but just then the bags came so they took an extra 20 minutes processing a refund for something we didn't even pay for yet? All while the ladies at the travel tax booth treated us like garbage and also playing on their phones. Real professional. Of course, they practice the same security theatre most other airports do. Sadly, you only have 2 choices internationally for the Philippines. Not Verified | Worst airport I've ever been to. Starting with the check-in ticketing took 30 minutes, the lady at the counter was typing each letter with her index fingers. Next, the Terminal Fee (850 PHP per person tax) if you dont have cash, be prepared to get taxed ever harder at the nearby currency exchange (lady told me $20usd was 1500 PHP) the terminal tax can only be paid in cash. Than, the immigration passage - can they be any slower? It took another 20 minutes at the window for them to process. Lastly, the security check, wow - about 80% of bags will be flagged and they will ask you to remove your belongings and start throwing things away. This airport is very poorly managed and literally drains you of all the fun and excitement you had during the trip, be prepared. Not Verified | Like everyone, I was looking forward to the new international terminal being open hoping for faster processing and a gate arrival, not being parked in a stand off position. The customs delays are absurd. Processing time was in excess of two hours from joining the queue. This is totally unacceptable nowadays. Arriving at 1.00am from Singapore, we did not leave until 3.00am. This is not the first time this has happened. 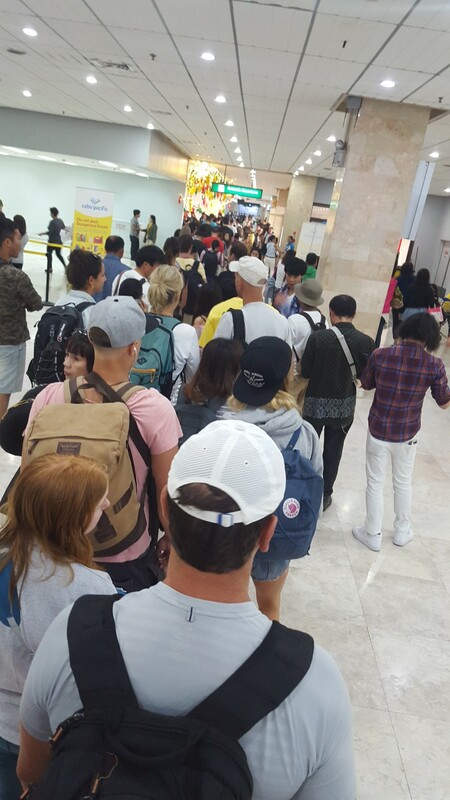 The automated gates are working but only for Philippine citizens. Half of the Customs booths staffed. At least the construction work has been cleaned up a bit. The bathrooms are a big improvement but when you are arriving in the middle of the night, you just want to leave and get home. For those travelling with small children the delay must have been unbearable. 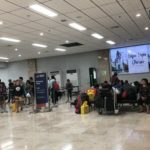 "was left feeling rather disappointed"
✅ Trip Verified | After travelling here for many years I was excited to experience the new airport but was left feeling rather disappointed. The building itself looks great but once you get into the transit area there isn’t a lot going going on. Everything in the Duty Free is priced in USD, I think since we are in the Philippines it should be priced in PHP. People don’t have time to do currency conversions in their head and most people will have left over change in PHP. As a UK citizen, I also think the prices are quite extortionate in there, I saw a plush toy that was $65, which deterred me from looking at anyrhing else. There also needs to be more seating, in the section I was in, there were approximately 64 seats for 3 gates - with some gates having passengers for 2 flights a few hours apart. I would also look into improving the wifi, at the moment you have to scroll through a list of numbers/country codes, it would make better sense to have the countries listed alphabetically or give you the option to type it in. It also times out after about 15 minutes. But I would much prefer Changi Airport’s approach and just let people connect without having to enter a series of information. Surprisingly, lots of people have tablets but not phones. I think the terminal fee also needs to be abolished, when you book your tickets it tells you the that the airport taxes etc are covered, so why is Mactan trying to take advantage of people on the way out? It does not allow passengers to leave on a positive note. All in all, I actually prefer Cebu’s Domestic terminal as oposed to the aforementioned International (T2) terminal. They have a better selection of places to eat at like Jollibee and Dunkin Donuts. But I do think the departure hall is a much better improvement in comparison to the old airport. 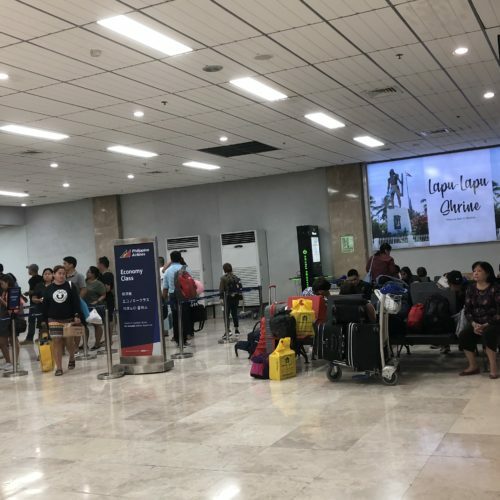 "lacks seats at the waiting area"
✅ Trip Verified | There were so many cancelled and delayed flights to Manila because of the accident of Xiamen Airlines on the runway of Manila airport. I noticed that this airport lacks seats at the waiting area and near the check-in area that passengers had to sit or lie on the marbled floor. Not Verified | AC blower unit was working blowing out hot air and using electricity so I asked 4 different employees and a manager if they could fix or look into the problem since it was ridiculously hot. I had just taken a shower and was sweating and nobody working there could care less. Bad management is all I can say.